Q: What's the difference between the three different types of rifling - cut rifling, button rifling and hammer-forged rifling? Which is the more accurate? 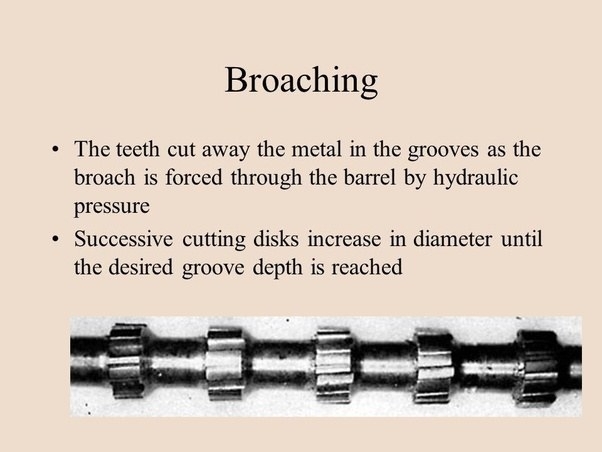 Is it true that some barrels have only two grooves while others had up to 20 grooves? usually much shallower than conventional cut rifling. Hammer-forged rifling is formed by hammering the barrel blank around a mandrel that carries the rifling pattern in reverse. Some barrelmakers claim multiple shallow grooves deface the bullet less than do deeper, numerous grooves and therefore provide better accuracy; others claim the reverse is true. In my experience, both types of rifling are capable of fine accuracy. During the manufacturing rush of World War II some rifle barrels were made with only two lands and grooves; other rifles namely Marlin had Micro-Groove rifling with 16 or more lands and grooves.